Pages that directly contradict well established scientific or medical consensus for queries seeking scientific or medical information, unless the query indicates the user is seeking an alternative viewpoint. Pages that directly contradict well-established historical facts (e.g., unsubstantiated conspiracy theories), unless the query clearly indicates the user is seeking an alternative viewpoint. As bad as this news sounds there is a bright side. We have solutions people; we just have to break the habit of being slaves to the Google regime. First, we can stop using Google altogether and start using some great alternatives out there like Good Gopher, DuckDuckGo, Yandex, Searx.me and Qwant.com The second and most important thing we can do is go old school and start bookmarking sites again (something I have been doing for years). 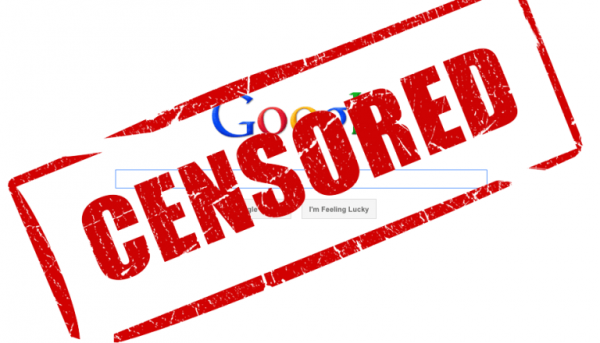 This will cut out the middleman (Google) and enable you to see all the great information from thousands of independent journalists that Google is trying to suppress. From the backwoods of Michigan, Thomas Dishaw is writer and health hacker. Thomas currently resides outside Philadelphia with his wife and dog. You can support Thomas’ work by making a donation below or following him on Instagram. You can reach Thomas via email at tdishaw@protonmail.com.